An earthquake, they called it. The European political establishment looked on helplessly over Memorial Day weekend as elections for representatives to the European Parliament showed populist parties of right and left making large gains—from Britain to Greece, from Spain to Finland. Yet, some already are saying that things won’t change much. A reprise of “Small earthquake in Chile, not many dead”? No, the reality is that European politics have shifted. And while there are reasons for worry, the future may look brighter for the momentarily dark continent. 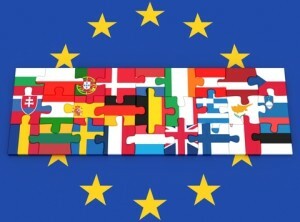 Until the elections last week, there had been little opposition in the Parliament to the European Union’s central organizing principle of “ever closer union.” This principle had transformed a relatively benign free trade zone binding Europe in commerce in to an intrusive superstate that increasingly asserts its power in a host of policy areas—from food labeling to TV manufacturing to the composition of corporate boards—where national parliaments have been reduced to mere rubber stamps. But isn’t the EU at least democratic, with representatives elected? No. 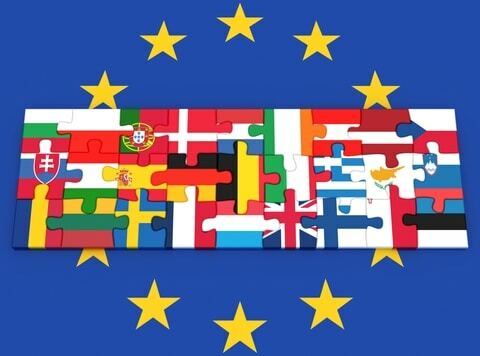 The EU is unique in that the executive branch, an unelected body known as the European Commission, initiates all legislation, on which the Parliament then votes. The result is a “democratic deficit,” with citizens far removed from the lawmaking process. This patched-together structure was strained almost to a breaking point during the 2010–2011 euro crisis. Several countries with historically weak fiscal controls, mainly in Southern Europe, had adopted the euro as a currency, fueling a brief credit-fueled boom that fed lavish spending on “green” energy projects, government employee wage hikes, and other dubious priorities. When the unsustainability of these debts became apparent, the Northern European countries that were the source of the euro’s strength demanded fiscal contraction, which quickly led to massive unemployment (youth unemployment in Spain was over 50 percent at the end of 2013). Emergency measures by the European Central Bank held the euro together, but the fiscal contraction is still biting in the South, and Northern taxpayers are still unhappy about picking up other people’s bills. The result was the electoral “earthquake.” Most of the populist parties that saw their votes surge are nationalist or protectionist (even the avowedly libertarian UK Independence Party has preyed on fears about increased immigration). Thus, the results could be seen as a victory for an older, more worrying kind of politics reminiscent of the 1930s. It was especially disheartening to see the virtual eclipse of the classical liberal parties of Europe, such as Germany’s Free Democrats. Yet this is not 1930. The political structure of Europe is very different. Expansionism and armed confrontation are out of the question. Britain and France aside, most European countries have no armed forces capable of sustained conflict—and no appetite for it anyway. Most encouragingly, the real extremists remain a fringe. The only real Neo-Nazi party in the European Parliament, Greece’s Golden Dawn, won a mere 10 percent of the vote. The overtly xenophobic British National Party lost all of its parliamentary seats. Hungary’s Jobbik, which seems overly fond of fascist-style parading, made no gains. The more successful parties, like France’s National Front, are more autarkic in their policies. They are the sons and daughters of Poujade, not Pétain. So if there is any result from the election, it will likely be a loosening of central control. If the new parties in the EU join with existing conservatives and moderates in the center-right block to the EU’s increasing centralization, there is a chance of a more “federal” Europe emerging in the American sense, with each country its own laboratory of democracy, experimenting to see what works. If France tries autarky and Germany free trade, it will soon become apparent which is the better system. Of course, this process will be extremely difficult, as it will require groups with little in common to work together. But they may have no choice, given the unsustainability of the EU’s centralized bureaucracy. Moreover, a member of the European Parliament only has two ways to vote—yea or nay. This will force coalitions to form on each issue area. The incessant, often senseless legislating activity in the bodies of the Union which has led to 60-70,000 printed pages of legislation is therefore not a sign of abundant creative energy in the EU. Rather, it is a cause, or a contributing cause, of its creative and therefore political weakness. For the established center-right parties, gathered under the European People’s Party banner, the recent results offer an opportunity for reform, alongside the newcomers. However, if they join forces with the European Socialists to continue the European “project,” the next earthquake may demolish both their houses. Here’s hoping Herr Herzog isn’t a lone voice crying in the wilderness.